how are you? Welcome to the Weekend Coffee Share, a blog hop by the lovely Diana over at Part Time Monster. Every weekend we get together for virtual coffees and a little casual chat. How has this past week been for you? I am so sorry I have been incommunicado for two weekends, but there’s been a lot going on. Come on in, though, I’ll make us a cuppa and you’re welcome to stay for some homemade spicy pumpkin soup later on while we catch up. First off, if we were having coffee today, I’d tell you that my best friend Nils got married on October 7. I’ve known Nils for about 18 years give or take, and so there was no chance I’d miss him tying the knot! Let me just say that I never wear dresses. So if I agree to buy and wear a fancy dress for you, our friendship’s solid. Seriously. You’re family. Nils is one of those few people. He even asked me to do most of their wedding photography, which is not only flattering but also scary. Normally, I take photos of landscapes, wildlife or landmarks, I seldom venture into people photography, let alone posed photos like wedding pictures! But he and his bride loved the photos (phew!). My weeks have been filled with mad dashes across town to chauffeur my dad and gran to various doctor’s appointments and the like. Including getting parked in once so badly (no fault of mine, the guy in the spot next to mine was a douche and parked waaaaayyyy too close to my driver’s side door) I had to climb across from the passenger seat in front of a class of school kids who’d just arrived at the local museum. It probably wasn’t a pretty sight and didn’t do my already bad back any good, but at least I got dad in the car and home after an operation. If we were having coffee today, I’d tell you that the reason I didn’t update last week was because I was in England. My bestie Ronni had invited me to come over so I could finally meet her baby daughter. And the little munchkin is a cutie. We spent the weekend in Warrington where I only had limited mobile access. Ronni and I got a girlie day in, during which we went to the movies while daddy looked after the baby, and then had a little book-and-DVD shopping trip and a coffee. 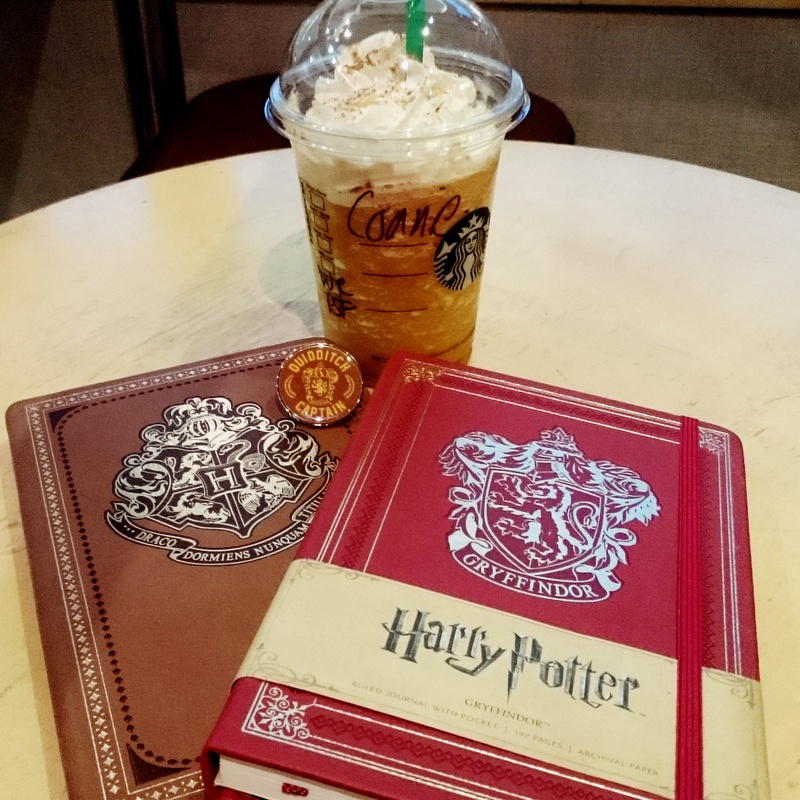 And I managed to find some Harry Potter swag in the form of a Hogwarts and Gryffindor notebooks and a Gryffindor Quidditch Captain pin along the way, so happy me! I’ve missed the UK so much! I hadn’t been back in over a year. It felt more like home than home does. And it’s been amazing catching up with Ronni. We try and see each other at least twice a year, so she’ll come visit me in Germany and I’ll visit her in England. The last time we saw each other was in February when she visited me in Germany while pregnant (it was pretty much the last week she was allowed to fly), so even though we Skype and WhatsApp, we had a lot to catch up on in person. 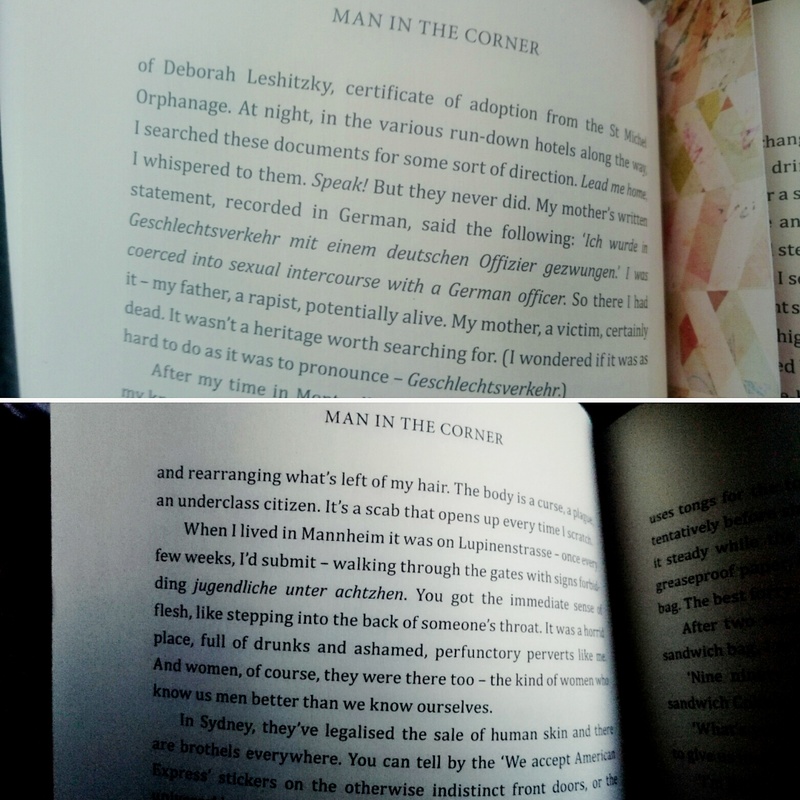 If we were having coffee today, I’d tell you that I finished reading Nathan Besser’s Man In The Corner so quickly on my flight over to Manchester, I actually bought 6 more books. While I liked Man In The Corner, because it’s a noir psychological thriller, what peeved me was that the two German sentences in the book were incorrect. They may have been minor mistakes, but it shouldn’t have taken long to double-check them. 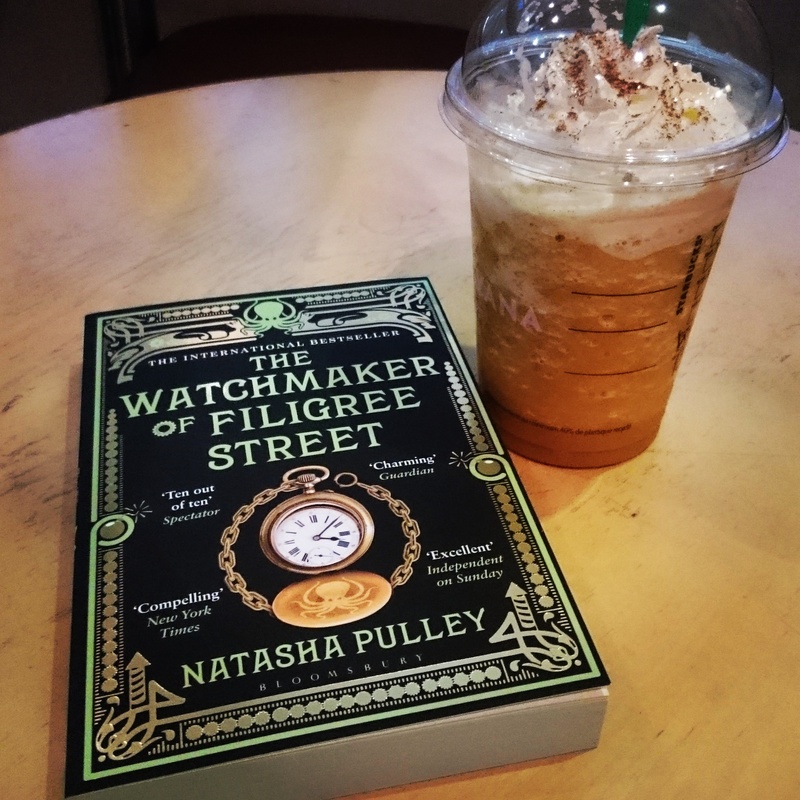 I am currently reading The Watchmaker Of Filigree Street by Natasha Pulley. 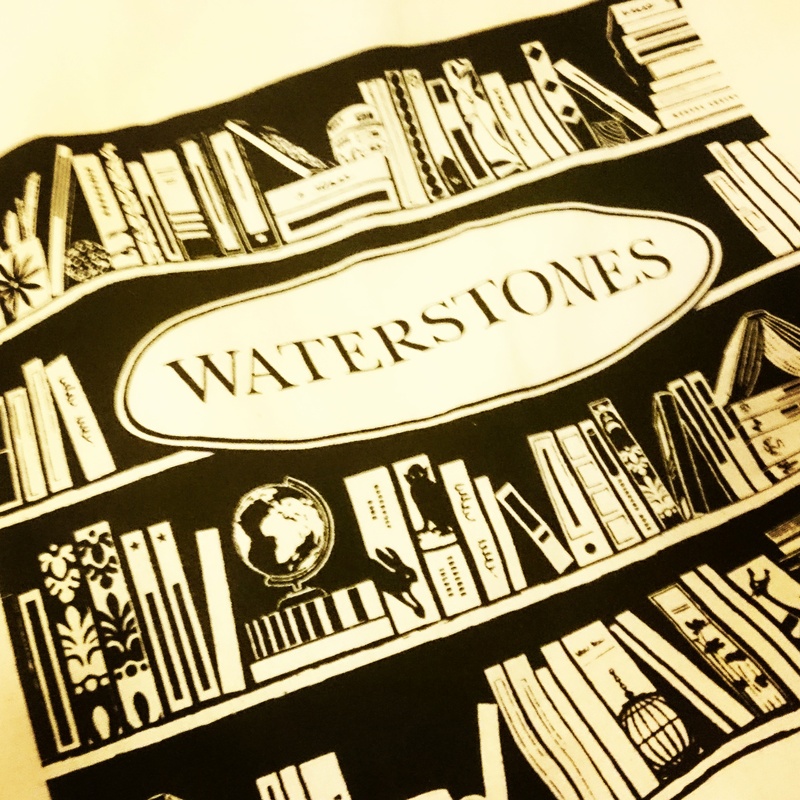 The other books I bought are: The Golden Compass by Philip Pullman, The Book of Dead Days by Marcus Sedgwick, Perfect by Rachel Joyce, Joss Whedon’s screenplay of Much Ado About Nothing, and John Updike’s The Witches of Eastwick – I think the last one is down to the Halloween Spirit. In the next few days I’ll have to take all my books off my shelves, and rearrange them as my shelves are currently an overflowing mess. But hey, that’ll give me an opportunity to sort them all and update my Home Library List of books I own. If we were having coffee today, I’d tell you I have just come home from a two-day seminar on refugees and the European refugee and migrant policies. I helped organise the event (you may have seen the flyers I designed for it) and it was a success. We talked until 9.30pm last night and started back up at 8.30am this morning – I’m beat. It was, however, my first post-degree event promoting cross-cultural communication, so that’s something to add to the CV. If we were having coffee, I’d tell you that I’ll be holding a talk in February on cultural differences between Germany and the UK, and British culture. I will also be hosting a two-day writer’s workshop next October in preparation of NaNoWriMo (that’s National Novel Writing Month if you don’t already know – it’s a challenge to write the first draft of a novel of 50.000 words between November 1 and November 30). I will be doing NaNoWriMo this year for the third time (I’ve done a total of 2 NaNo’s and 5 Camp NaNoWriMo’s so far) but I won’t be writing a novel this time. For now, it’s all about catching up on reviews for this blog as my thesis has been my focus until September. I already have novel ideas lined up for the next Camp NaNoWriMo in April, though. And I may also (finally) learn how to play the guitar if the Naturfreunde Solingen-Theegarten can get the guitar teacher organised. I think they’re just running low on people who could accompany groups singing around a campfire. If we were having coffee today, I’d ask what you have been reading lately, and whether you are a writer at all. Are you participating in NaNoWriMo? Anyway, that’s it from me. After a stressful week and a looooong day I had yesterday and today my brain’s gone mush and I can’t think of anything else to tell you right now. The offer for soup still stands (we’ve been getting temperatures of around 5°C, so autumn is definitely here) but alternatively you may pop by the other Weekend Coffee Sharers. Thank you for having coffee with me today. Same time, next week? Books have always been my life. I enjoyed your post. No wonder you didn’t share coffee for a couple of weeks, you have been busy with other things. Have pleasant week. 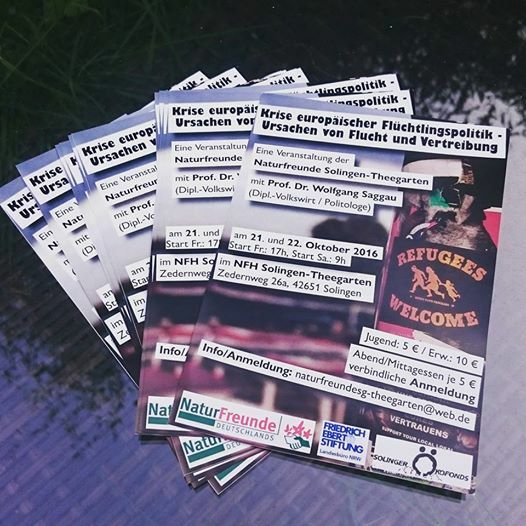 It is very cool that you organized the event for the refugees. Good for you. Also congrats on becoming an instant wedding photographer. Thanks for the visit. Sounds like your life has been full of good things. 🙂 I don’t usually photograph people, either, and always get a little nervous when someone asks me to do an event. Thankfully, it’s a rare thing. I’m currently reading Eurphoria by Lily King. I’ve been enjoying it and it’s egging me on to learn more about Margaret Mead (the book is loosely based on her life). I’m not sure I’ll participate in NaNoWriMo this year. I’m thinking about it. Thank you for the coffee and the soup! Have a wonderful week. 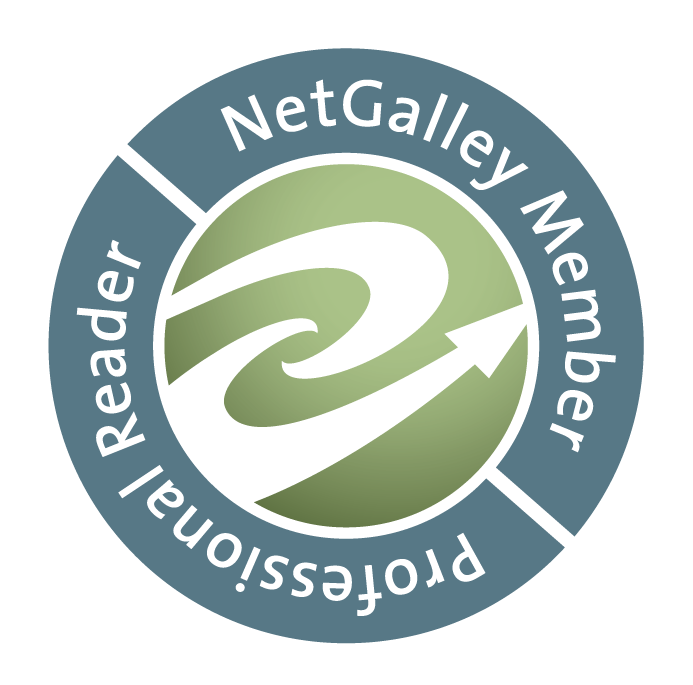 Enter your email address to follow Literati Girl and receive notifications of new posts by email.